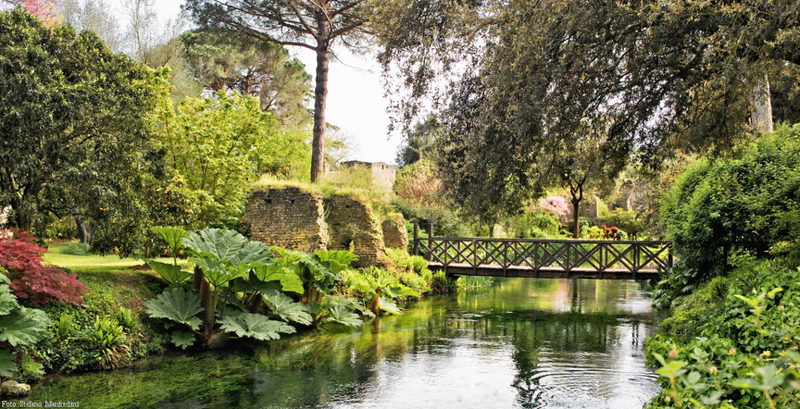 The Garden of Ninfa is a natural monument of the Italian Republic on the territory of the municipality of Cisterna di Latina, on the border with Norma and Sermoneta. 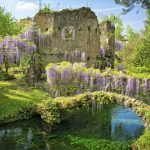 It is a typical English garden, it was born in the disappearance of the medieval town of Ninfa, of which today remain only several ruins, some of them restored when creating the garden. 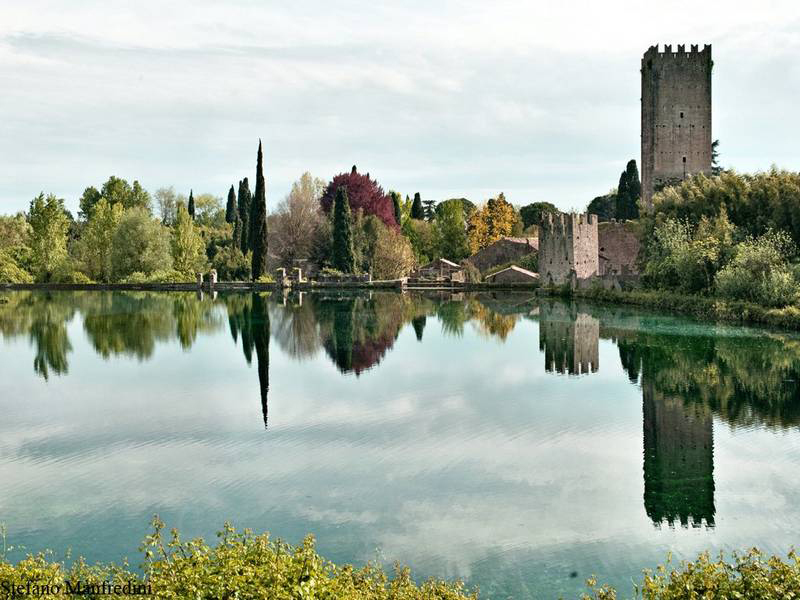 The Garden of Ninfa, declared a Natural Monument by the Lazio Region in 2000, was founded on the ruins of the ancient town of Ninfa, granted by the Emperor Constantino V to Pope Zaccaria and over the years passed through the government of large families who contributed to its expansion until Pietro II Caetani extended the castle building the curtain wall and raising the tower. Plundered and destroyed then in 1382 was no more rebuilt. 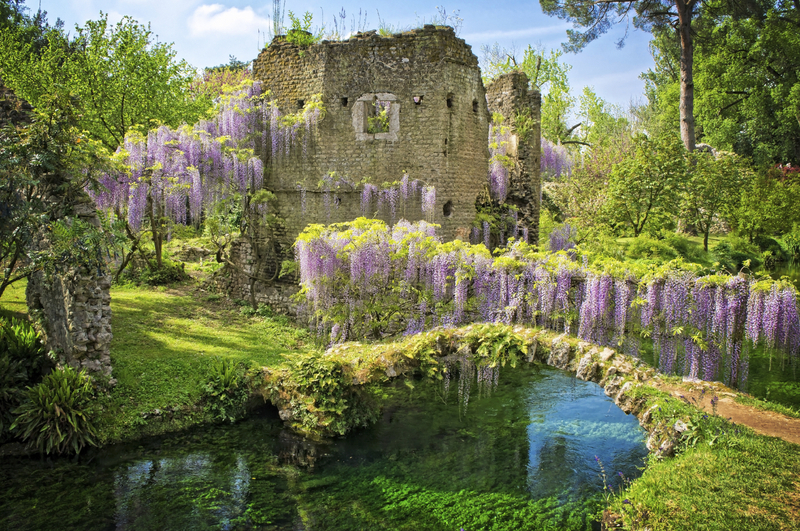 On these ruins in the sixteenth century Nicolò III Caetani, a lover of botany, began to create the garden, and after him other families, causing in the 800 century Ninfa become a destination for many travelers who renamed it the Pompeii of the Middle Ages. 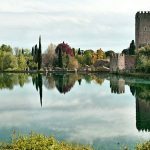 The medieval town remain many traces, but above all else Ninfa is a botanical paradise, unique natural oasis in the world created where before there was the swamp. 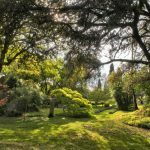 Open only a few days a year, from April to November, and a few times a month in exceptional cases has the area more than 1300 different species of plants from all over the world. The Garden, the size of eight hectares, is an English garden that houses inside over a thousand plants and is crossed by numerous streams of irrigation as well as from the river Ninfa: the river takes origin from nature pond resurgence and flowed, until the land reclamation, over 40 kilometers in the marsches pontine in the first section with Ninfa name and then the name Sisto, erupting between Terracina and Circeo; since the 30s the spring water have been diverted, however, just south of the garden, in the course of the collector of the Middle Waters, thus separating them from the course of Ninfa / Sisto. 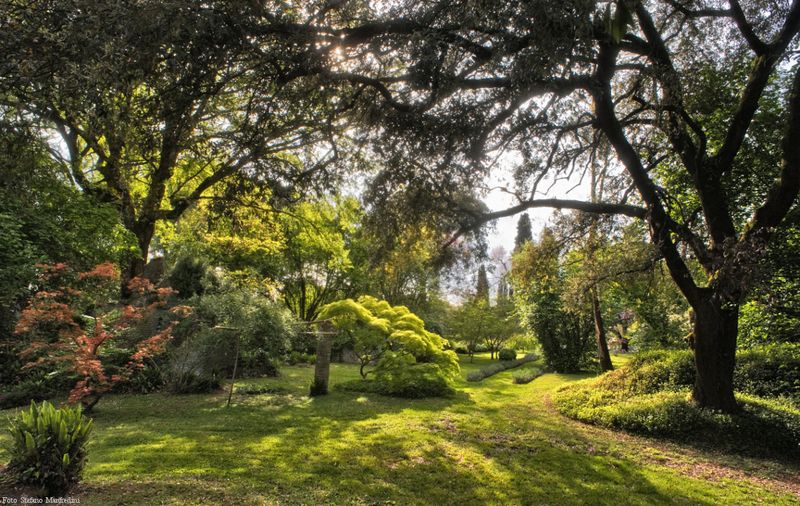 Since 1976, over an area of ​​about 1,800 hectares around the garden, it was born an oasis of WWF that observe to fauna in the area of ​​Ninfa protection: it was realize a woodland and a wetlands system to facilitate resting and nesting of avifauna and at the same time we tried to recreate, on an area of ​​fifteen hectares, the typical vegetation of the area, namely that purely swampy, existing up to the thirties, before the pontine area was the all it reclaimed. The area is parth of a most important trajectory on of the most important migratory routes traveled by birds, originating from African countries, they move to different areas of Europe. After the creation of the oasis, in the area they are registered arrivals of teals, mallards, gadwalls, herons, lapwings and some species of birds of prey. 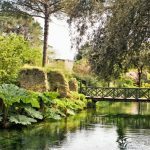 The Garden of Ninfa is open to the public only on some dates established and the entry is regulated exclusively through guided tours in order to preserve its delicate environmental balance.